I finished my third Techstars Mobility Accelerator program this month. It was an incredible experience, and I’m grateful to Lisa Seymour, my colleague and partner in running this program, for the terrific associates and volunteers that joined us this year, and of course, the incredible founders that came from all around the world to Detroit for 13 weeks. Since June 2015, we’ve been super busy. We’ve invested in 33 startups from six different countries — only two came from Michigan. Of these startups, 21 have founders with diverse backgrounds. As a portfolio, they have gone on to raise $45M and are valued at $200M, with one exit (Hagerty acquired Classics&Exotics from our 2015 program). I expect these numbers to go up quite a bit as we head into 2018. On Oct 18, 2017, our third program wrapped up with a multi-event demo day. Over the course of the day, we hosted over 1200+ individuals from 113+ different automotive OEMs, suppliers, transportation companies, and leading mobility venture capital funds. 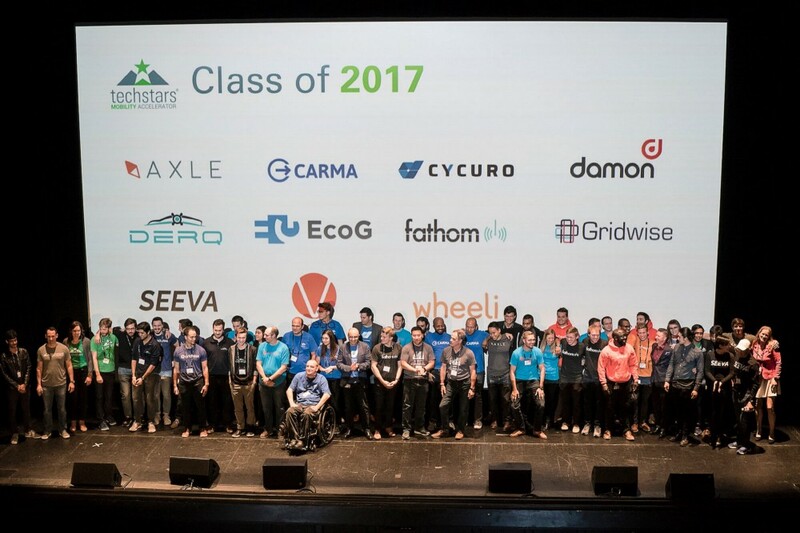 Our 2017 Techstars Mobility demo day was the largest single-day event focused on mobility startups in the world. This was also the third year we’ve had over 1000+ individuals at our demo day, continuing its recognition as the largest single-day startup event in Michigan. PlanetM made a video of the Techstars Mobility Investor/Industry Expo & Networking event held that morning at our office in Detroit. Featured media outlets covering our demo day include Xconomy, Benzinga, dBusiness, and Autoblog. Axle Travel is the next evolution in ground-based, long-distance travel. We offer door-to-door transportation by combining on-demand ride-sharing services with our own pop-up intercity bus service. Carma offers month-to-month subscriptions to your own car with insurance, maintenance and road assistance included. Like WeWork, for cars. cycuro is the world’s first data validation platform built specifically for mobility. We deliver data integrity to mobility operators and services providers via a cloud SaaS. Using AI and edge computing, Damon’s sensor-driven platform unlocks the full potential of collision avoidance systems, making motorcycling safer by alerting riders to threats they can’t see. Derq is an MIT spin-off developing AI-based V2X software applications for connected and autonomous vehicles to eliminate road accidents and save lives. EcoG is the monetization engine of sustainable electric vehicle charging. Fathom is modernizing and simplifying the recreational rental industry starting with its flagship product, the Fathom One, an underwater drone built for adventure. Gridwise is a mobile platform for rideshare drivers which increases their earnings 39% by leveraging data analytics and community to help them better understand when and where to drive. SEEVA Technologies designs visibility systems for mobility. Our technologies quickly clean windshields, cameras, LIDAR and other sensors to help vehicles see. Vartega creates low-cost recycled carbon fiber for vehicle lightweighting to enable mobility solutions such as battery technology, connectivity, and autonomy. Wheeli is the carpooling app for college students — the Airbnb for the empty car seats on the road. 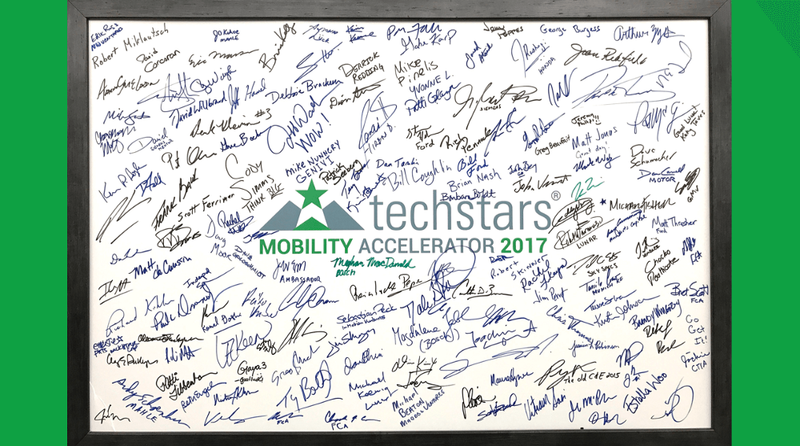 During the 2017 Techstars Mobility Accelerator program, over 2,500 meetings were scheduled between the 11 startups and hundreds of mentors representing OEMs, suppliers, transportation companies, and leading mobility venture capital funds. I like to call this “forced serendipity” — when you pair up a bunch of amazingly smart people, the collisions of ideas and momentum of network lead to incredible results. Ultimately that is the secret to why this program works so well. Through these encounters, founders received a lot of different viewpoints. Data gathered from these meetings is distilled down into wisdom that the founders use to grow their business, and the results always amaze me. Thank you to all the great mentors that have supported the last three programs. 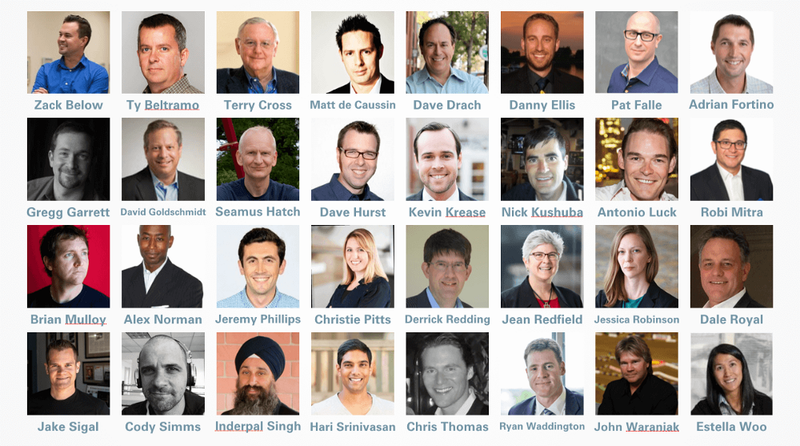 And an extra special thank you to these 32 mentors as rated “most helpful” by the founders that have gone through Techstars Mobility. With our third program behind us, we aren’t slowing down. We’ve partnered with the 2018 North American International Show (aka the Detroit Auto Show) again this year to bring over 50 mobility startups from around the world to Detroit. During the week of January 14th, we’ll be unveiling our 2018 program with our supporting corporate partners and application link for startups to apply. Look for more updates as we get closer to 2018. If you’d like to talk with any of these mobility startups, let me know I’d be happy to connect you. Shoot me a note here. I’m excited to announce that Hagerty has acquired Classics&Exotics. Classics&Exotics went through the 2015 Techstars Mobility Accelerator program. Hagerty is the world’s largest network for people who love cars and collectible vehicles. Peter Zawadzki’s vision to build the best peer-to-peer online marketplace for classic cars takes another huge step forward. Hagerty is relaunching Classics&Exotics as DriveShare by Hagerty and is available nationwide today. If you’ve ever wanted to drive a 1966 Ford Mustang GT or a 1984 Ferrari 308 but couldn’t afford one, now is your chance. When most people think about “mobility startups” they think about self-driving cars, LIDAR sensors, and ridesharing services like Uber. The focus is on disruption and the inevitable decline of automotive vehicles in the future. Who needs to drive if the car can drive itself? I believe the future of automotive mobility includes both cars that can drive themselves and cars that people still drive and want to drive. That last point is part of my thesis on the future of transportation and how the automotive shift to mobility is much more than self-driving cars. Startups like Classics&Exotics, now DriveShare by Hagerty, are part of this future where people still want to drive cars themselves. To understand the future, we need to understand the past. Over a 100 years ago, when Ford introduced the Model T, the demise of horses seemed imminent. Today’s Equestrian industry is a $39 billion industry (twice the size of golf, which is only $18 billion). Cars are ubiquitous today, but horses are still a booming industry in America. In the future, your car could drive you to work. But on the weekends, you could drive a car that brings you joy, an experience powered by Hagerty’s DriveShare. And where would you drive that car? Highways are too regulated and could be off limits due to future government rules around self-driving vehicles. But north of downtown Detroit, you could drive your car on the M1 Concourse, a private garage, and track, for automotive enthusiasts. My guess is we’ll see a lot more of these pop up around the world in the coming decade, as we saw private horse farms and eventing areas. New experiences will drive the future of automotive mobility. Trading boring commutes for productive time. Being able to drive cars that were once out of reach. It’s wonderful to see Hagerty betting on this future experience. On April 22, 2015, at 2p ET, I called Peter Zawadzki to let him know that Classics&Exotics was accepted into the 2015 Techstars Mobility class. Going into the call, I had a gut feeling this was going to be a great opportunity. Peter was almost in tears—tears of joy, having applied in Jan 2015 and waiting four months for the final notice of acceptance. It was a surreal moment for us both and one I still remember vividly. In 2015, Techstars Mobility had eight corporate partners, including Magna and Munich Re. During the 2015 Woodward Dream Cruise, Magna helped Peter with free space along Woodward to showcase a classic Ferrari and vintage Cobra. A second partner, Munich Re, soon became a key contact, underwriting the insurance policy for Classics&Exotics to rent vehicles on their platform. The hundreds of mentors for Techstars Mobility provided Peter and his team with tons of guidance, including one essential introduction: McKeel Hagerty, CEO of Hagerty, headquartered in Traverse City, located four hours north of Detroit. It’s amazing to see what Peter built with Classics&Exotics. I’m humbled that Techstars Mobility could play a role in helping him turn that idea into a great success story. Peter is #TechstarsforLife and is sharing his story and insight through #GiveFirst as a mentor for the 2017 Techstars Mobility Accelerator class. Techstars Mobility Accelerator mentor Zaki Fasihuddin recently joined Volvo Cars as VP of Digital. Zaki has been an active corporate mentor in the 2015, 2016 and 2017 Techstars Mobility Accelerator programs. In this post, I interview Zaki who shares some tips for ways corporations and startups can work together. The entire transportation industry is going through a historic change. Automotive companies are shifting from bending metal to bending bits. Soon they will be offering software and services to complement manufactured metal. Driving this massive transformation is the need for the large corporations to become more innovative and nimble like startups. These companies are looking to partner and work with emerging technology startups instead of being merely disrupted by them. Innovation teams are being formed at large corporations to build processes around structured engagement with innovative startups. At the Techstars Mobility Accelerator program, we have 10 corporate innovation partners for 2017. You can read more about these new corporate partners in this post. 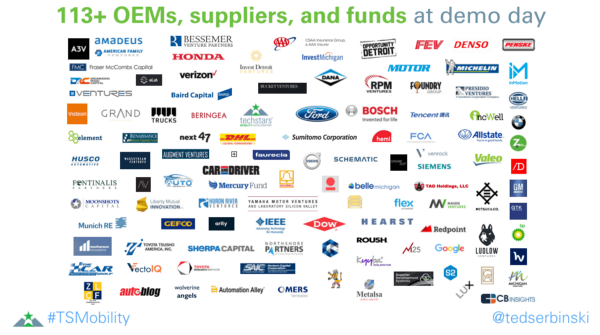 These include Ford, Verizon, Honda, next47 (the independent investment arm of Siemens), Bosch, InMotion (powered by Jaguar Land Rover), AAA, Dana, Munich Re, and Michelin. These corporations are not only learning from startups but are offering mentorship and support to help these startups thrive in the changing transportation industry. As we kick off the third Techstars Mobility Accelerator program (and 109th class to go through Techstars, wow! ), I’m excited to interview one of our mentors, Zaki Fasihuddin who has worked at innovation teams at both McDonald’s (a 2015 and 2016 Techstars Mobility corporate partner) and now Volvo. Mentors are where the magic happens at Techstars, and we have an all star list of Mobility mentors. It’s even more amazing when mentors come back year after year to support the program. It’s equally impressive when those mentors change roles at large corporations but still find ways to be engaged and to get their company involved. At Techstars we have a saying “#Techstars4Life” and it’s powerful to see this in action. In June of 2017, Zaki gave me a call after transitioning to his new role at Volvo’s Mountain View office. “How can I #GiveFirst and support the 2017 class?” I smiled knowing that two of our incoming companies (SEEVA and EcoG part of our 2017 Techstars Mobility class) were already asking if we had any mentors from Volvo. That’s the power of the Techstars network! Here are some tips from Zaki for both corporations and startups on ways to work together. Why is it important for corporations to work with early stage startups? Range of experimentation of new ideas: For startups, there is no such thing as “we don’t do that here…,” or, “…that conflicts with our current business model…” Startups tend to be trailblazers into new unproven market spaces and have the ability to experiment, fail fast and try again, often in rapid iterative cycles. Speed: Startups can change direction on a dime. By partnering with startups, corporations can see signals or proof points faster on testing of hypotheses. Startups don’t need permission to act and are less constrained when they do by building scrappy solutions that are fit for purpose. At Techstars they call this #DoMoreFaster and two Techstars founders wrote a whole book on it. Cost effective learning: Taking on additional internal overhead cost to research technology and new business models in-house is not always feasible. That’s why programs like Techstars—that offer a turnkey accelerator program with a methodology of proven success—are so attractive. They can be run with minimal cost that can show a huge boost in experimentation, research, and overall accelerated learning in co-creation partnerships. Outside perspective: Fresh lenses can offer different approaches to problem-solving or frame opportunities differently. For example, a startup may “mash-up” technologies in a new way or apply a new business model that hasn’t been tried before. By their nature, startups are empowered to challenge industry norms by thinking differently. You’ve now seen many corporations engage with startups. What do you think is the single biggest lesson corporations can implement to work with startups successfully? Zaki: Be consistent, dedicate resources and follow through. You need to have a dedicated team that is truly engaged and committed, who understands startups and has a path to go from idea to proof of concept to pilot and potentially even production. This means investing the right amount of time with a startup and the founders and jointly sharpening the problem statement, the scope of engagement and the outcomes that you will be trying to solve for in the collaboration. Companies that have invested the time to do this come out with far better results. It all comes down to engagement and commitment. What would be your top 1 or 2 tips for a startup to work with a corporation? Zaki: Be focused and specific for what you are trying to achieve. Don’t view the project as a one and done. Agree on a project that is feasible to achieve and doesn’t have a lot of dependencies to deploy. Don’t be smitten by working with a name brand, instead have a clear understanding of why you are seeking a particular partner and what tangible value it will create for your company. For startups, time is not on your side. It is easy to go off on a tangent by making some bad choices which can cost your company more in the long run. We all need to learn to do more faster together. What excites you about the Mobility space and in particular the opportunity for Detroit? Zaki: Coming from a different industry, the exponential pace of change and innovation in the Mobility space is mind boggling. Places like Dubai, Singapore, and China are creating favorable conditions by fast tracking new regulations and offering seed investment to attract global mobility startups. Detroit has more to offer entrepreneurs when it comes to world class research-based educational institutions, a massive transportation-focused private sector with knowledge workers, an affordable cost of living and a public sector intent on re-inventing the city. Detroit has an opportunity to become the global destination of choice for mobility entrepreneurs. The Techstars Mobility Accelerator program has 10 corporate innovation partners including Ford, Verizon, Honda, next47 (the independent investment arm of Siemens), Bosch, InMotion (powered by Jaguar Land Rover), AAA, Dana, Munich Re, and Michelin. We have over 200 mentors from another 100+ different corporations from around the globe. If you’d like to learn more about becoming involved in Techstars Mobility, please contact me. Today we’re excited to introduce the 11 companies that will be a part of the Techstars Mobility Accelerator Class of 2017. We’re also announcing a new partnership with Rocket Fiber to bring gigabit internet to our office and house for founders. In addition, we’re welcoming three new team members to support the 2017 class. The incoming class of 11 startups are coming from around the world, including Dubai, Tel Aviv, Munich, Vancouver and across the United States. They are building technologies and innovative business models that impact how people and goods move across all modes of transportation. On October 18th, we’ll be hosting our 3rd annual Demo Day at the Detroit Film Theatre inside the Detroit Institute of Arts. If you’d like to join (it’s free) add your name to the signup form here. These 11 startups are joining a thriving startup ecosystem in Detroit. According to the new report by the Michigan Venture Capital Association, there has been a 50 percent increase in Detroit-based startups in the last three years. In the last year alone, $62M was raised by startups in Detroit, 28 percent of all statewide venture capital investment. New this year, we’ve added four new partners to our consortium: next47 (the independent investment arm of Siemens), Bosch, InMotion (powered by Jaguar Land Rover), and AAA. The four new partners join existing partners Ford, Verizon, Dana, Honda, Munich Re, and Michelin. Together, these 10 corporate partners are helping mobility entrepreneurs from around the world succeed in building businesses transforming the future of transportation and mobility. You can read more about their involvement and others in our previous post about the rise of the Detroit mobility startup ecosystem. In addition, we have partnered with Detroit-based gigabit internet service provider, Rocket Fiber to provide our startups with internet that is up to 1000x faster than standard cable companies. This partnership will provide internet not only at our Detroit-based office but also at the Techstars Mobility Foundry House where startups’ founders can live for free during the duration of our program. We’re also excited this year to welcome three new team members to support the 2017 class. Ian Sefferman Entrepreneur-in-Residence: Ian founded MobileDevHQ, a Techstars Seattle 2012 graduate. TUNE acquired his company in 2014, where he is currently SVP of Customer Experience. He recently relocated from Seattle to Detroit. In addition to his work with TUNE, Ian is involved with Techstars Seattle and Mobility as a mentor, applicant screener, investor, and alumni. Andrew Mager Developer-in-Residence: Mager relocated to Detroit from San Francisco with his wife and dog a few months ago. He’s been mentoring for Techstars since 2013 and has been part of various accelerators: Nike+, R/GA, Sprint, and Mobility. He’ll be working out of the office a few days a week acting as a technical mentor for the teams this summer. Jessica Krcmarik Designer in Residence: Jessica is an illustrator, designer, and Detroit resident. She was a Techstars Mobility Associate in 2015 and currently freelances for various startups & small publications. She will be assisting the teams with design and branding needs. The 2017 class is our most diverse and international class yet, with companies coming from around the world including Dubai, Tel Aviv, Munich, Vancouver and across the United States. These startups are building solutions in the autonomous, connected, electric and shared vehicle mobility spaces. They are using a variety of technologies including analytics, machine learning, artificial intelligence, robotics and manufacturing. Busbot (New York City): Helps transportation companies optimize their supply decisions to better respond to consumer demand. Carma (Washington DC): Monthly car subscriptions. An affordable monthly fee to drive any of our cars with insurance, maintenance and roadside assistance included. cycuro (Tel Aviv, Israel): Protects mobility companies from cybersecurity threats to data, systems, and services. Damon X Labs (Vancouver, Canada): Proactive sensor-driven safety systems for motorcycles. Derq (Dubai, UAE): MIT spin-off with a mission to eliminate road accidents and save lives by using artificial intelligence and V2X communication technologies. EcoG (Munich, Germany): Customized EV fast charging experience through a PaaS for value added services & shared revenue streams. Fathom (Grand Rapids, MI): Future of underwater adventure through an affordable, easy to use, underwater drone. Gridwise (Pittsburgh, PA): Peer-to-peer platform for on-demand drivers that improves their performance and overall driving experience. Visibility for mobility. Our ecosystem of patented technologies cleans windshields, LED headlights, cameras and sensors fast – so drivers don’t have to scrape or wipe. Vartega (Golden, CO): Creates low-cost recycled carbon fiber for vehicle lightweighting to enable mobility solutions such as battery technology, connectivity, and autonomy. I’m excited to announce that we have brought on four new partners for the Techstars Mobility Accelerator in 2017: next47 (the independent investment arm of Siemens), Bosch, InMotion (powered by Jaguar Land Rover), and AAA. In addition, Mighty AI is opening an office in Detroit operating out of the Techstars Mobility Accelerator office. The four new partners join existing partners Ford, Verizon, Dana, Honda, Munich Re, and Michelin. Together, these 10 corporate partners are helping mobility entrepreneurs from around the world succeed in building businesses transforming the future of transportation and mobility. Over the last 18 months, we have invested in 22 companies from around the world, including the United States, Canada, and Chile. Those companies have raised over $20M and are valued at $100M. On July 17th, we’ll be announcing our third class with companies coming from Tel Avi, Munich, Dubai, Vancouver and across the United States. As we go into our third program, we have a proven model of combining entrepreneurs with corporations and capital to drive success and grow the local Detroit community in the process. Mighty AI is transforming the future of AI, offering Training Data as a Service for autonomous driving. Having raised nearly $30M from investors, including Foundry Group, Intel Capital, and others, Mighty AI sees the importance of being tied into the Detroit entrepreneurial community. Not only will they work closely with customers across Michigan, they will also actively mentor the incoming 2017 class. Mighty AI joins Oblong and Mapbox who both opened offices in Detroit out of the Techstars Mobility Accelerator office. According to the Michigan Venture Capital Association 2017 Research Report, the are 141 active venture-backed startups in Michigan, nearly 50% increase in the last five years. And since Michigan has the highest research spending-to-venture capital investment ratio in the country, Michigan is the ideal place to grow startups in mobility. In fact, Lunar and SPLT, part of the 2015 class of Techstars Mobility, both relocated to Detroit from NYC. As we look to the next five years, I’m excited that our program is operating at the intersection of Detroit’s two biggest strengths: its automotive dominance and entrepreneurial resurgence. Our next celebration for the growing community will be our 2-day Demo Day on Oct 18 and 19. To join the fun, sign up here. Save the date, Oct 18th and 19th in downtown Detroit: a 2-day event focused on startups & innovation driving the future of mobility. The largest single-day startup & innovation event in Michigan, Techstars Mobility Demo Day will be coming back for its 3rd year on Oct 18, 2017. The event will take place at the Detroit Film Theatre, located inside of the Detroit Institute of Arts Museum. The 2017 class of startups from around the world will take the stage in front of 1000+ investors, automotive & transportation industry professionals, community members, and family and friends. In 2017, we are partnering with Autoblog’s UPSHIFT conference to form a 2-day event focused on innovation that is driving the future of mobility, automotive, and transportation. This will be the largest event in Michigan focused on startups & innovation in the automotive and transportation industry. This will be the second year for Autoblog’s UPSHIFT, which gathers innovators and thought leaders from Detroit, Silicon Valley and around the world for a day of presentations, panels, tech demos and networking. The past 2 years, our Techstars Mobility 2015 and 2016 demo days have attracted over a 1000 individuals from all around the world to come to Detroit and see these startups changing the future of transportation. You can watch our full 2016 demo day or our recap of our 2015 demo day. Techstars Mobility is the first North American mentorship-driven startup accelerator program to focus on mobility startups and technologies. We invest globally in startups building technologies and innovative business models that transform how people and goods move across all modes of transportation (including pedestrian). We invest $120,000 in 10-12 startups each year, bringing them to Detroit for 90-days to work hands-on with them to accelerate their company. 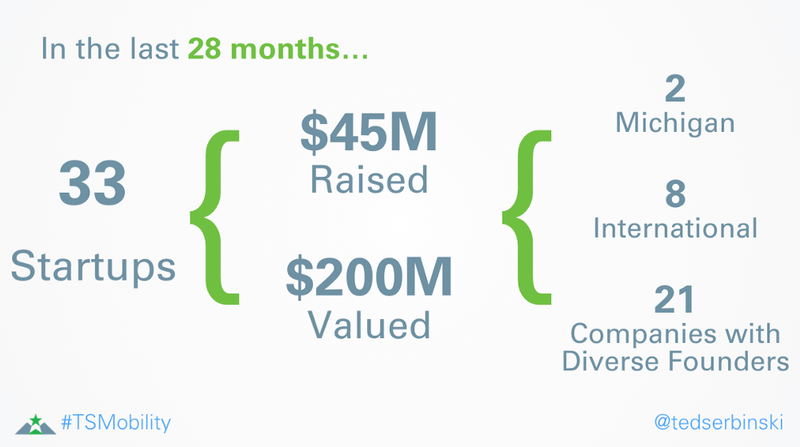 In the last 18 months, we have invested in 22 startups that have raised $20M and are valued at over $100M. These startups have come from all around the world including Tel Avi, Dubai, Germany, Chile, Canada, and across the United States. The 2017 Techstars Mobility class will be announced at the end of July. We have 10 corporate innovation partners for 2017 including Ford, Verizon, Honda, Next47 (a division of Siemens), Dana, Munich Re, and Michelin that offer mentorship and support. If you’d like to learn more or attend either or both events, sign up here. Details: Click here to register for the event! Details: Click here to register for office hours!